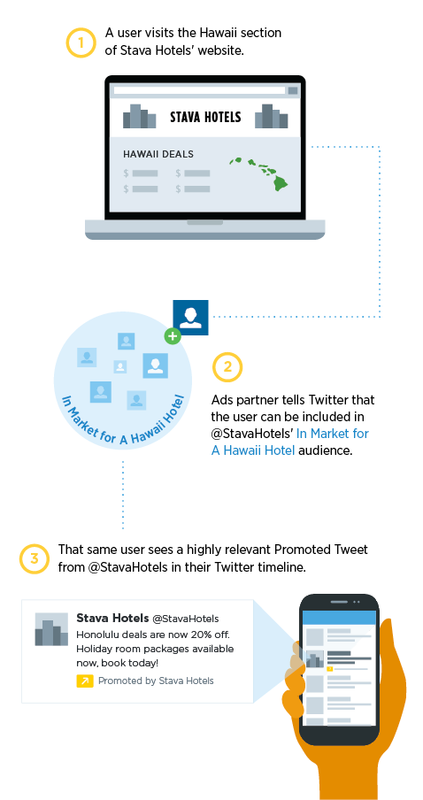 Twitter just published a blog post announcing a new product for advertisers called “tailored audiences”. Basically, this confirms the report by TechCrunch’s Josh Constine yesterday saying that Twitter was about to officially launch its retargeting product. Twitter’s blog post also includes some statistics about campaigns with early advertisers. For example, marketing software company HubSpot says it saw a 45 percent improvement in engagement over their historical averages, sports video analytics company Krossover says it saw a 74 percent in cost per customer acquisition, and app management company New Relic says it saw 195 percent improvement in conversion rates. On the privacy side, Twitter says users can choose not to participate by unchecking the “promoted content” box in their settings. The company also says it won’t receive the browser-based cookie data used for this kind of retargeting if users have enabled Do Not Track in their browsers. We’d previously suggested that Twitter would likely work directly with advertisers for retargeting, but actually, Twitter says advertisers should work with one of a number of partners, who include Adara, AdRoll, BlueKai, Chango, DataXu, Dstillery, Lotame, Quantcast, ValueClick, and [x+1].